Spend an evening with internationally-renowned author Lawrence Hill, whose most recent novels are The Illegal, The Book of Negroes and Any Known Blood. 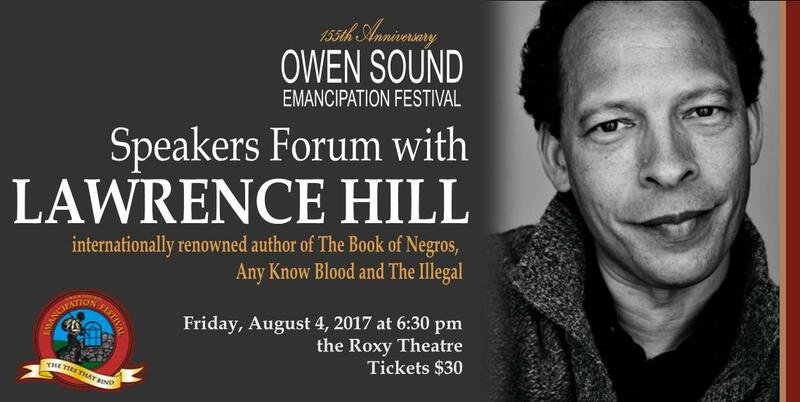 Lawrence Hill is part of the 155th Owen Sound Emancipation Festival’s Speaker’s Forum. Join us as he tells us about his research, his writing and his personal interpretation of world events. With special guest Bobby Dean Blackburn.